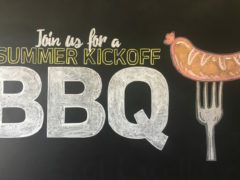 Anyone who’s ever been to an Evergreen Media party is wowed by the amazing chalk art that is drawn on the large chalkboard adjacent to the reception desk. 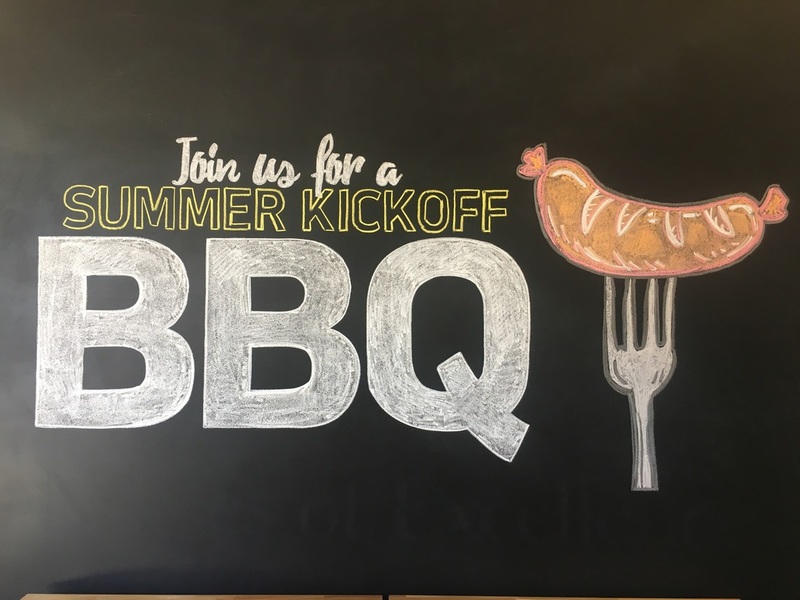 For this year’s Summer KickOff Party, the beloved chalkboard had the party name and a realistic fork and hot dog. This chalk art is the work of Evergreen’s resident Van Gogh, Chris Valencia. He is the Senior Designer, which he jokingly describes as “just doing what John (Evergreen’s Creative Director) tells me to do.” As the designer, he does ads, layout design, and everything in between. 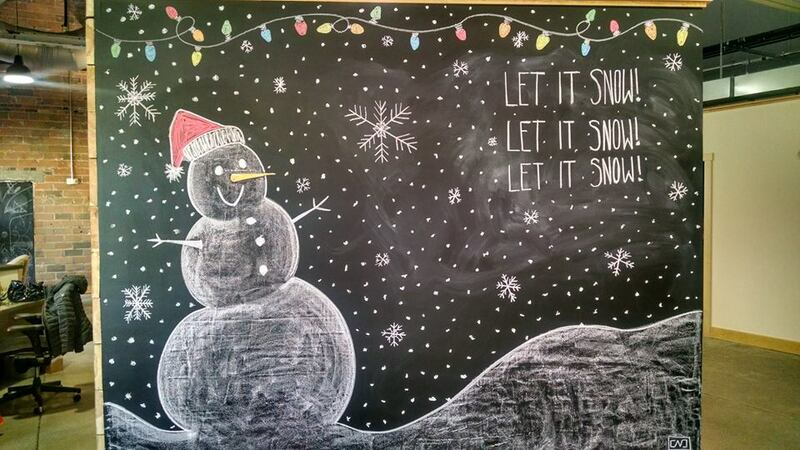 Of all our employees, Chris has worked here the longest so he has had plenty of time to hone his chalk art skills. “I have always been into art,” said Chris of how he decided it was his life’s calling. 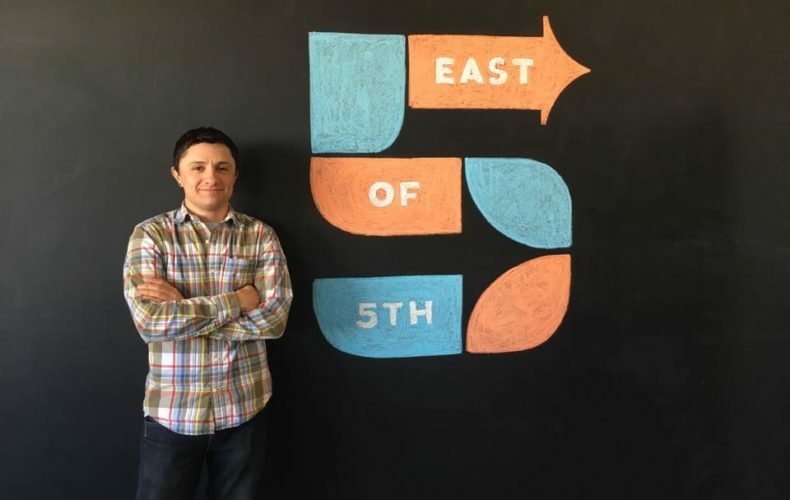 In his senior year of high school, a teacher introduced him to graphic design and he was hooked! His career kick started when he designed a tee shirt for a kids’ camp in his hometown of Gillette, Wyoming. He graduated from the University of Wyoming with a major in art and a minor in printmaking. 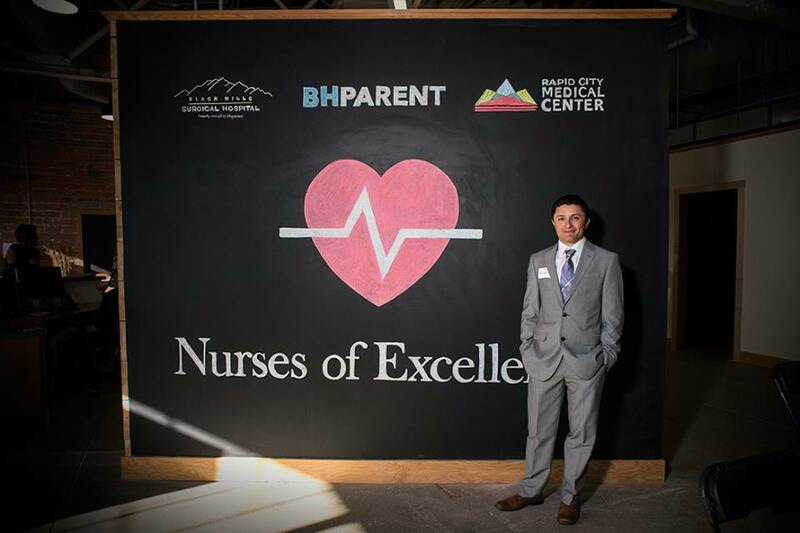 After graduating, he traveled the United States, blazing a trail of artwork behind him. Eventually his travels landed him in Hawaii, the paradise of the Pacific, where he worked at a newspaper for two years. 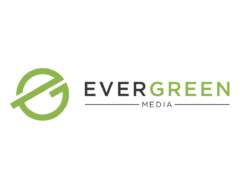 But the Black Hills called to him and he found himself abandoning the bohemian lifestyle to work for Evergreen Media, where he has been for the past four years. His advice for aspiring artists?